When you’re feeling shy, how do you approach a woman you’re attracted to? That’s a trick question…if you’re really feeling shy, you probably WON’T approach that woman. But let’s say you do…how do you do it? Most likely, you do it as if you’re dipping your toe into a swimming pool with water of an unknown temperature…hesitantly and hastily. I want to share why this approach will NEVER work…and what to do instead. As an example, let me introduce you to Ted, a 24-year-old man who is young, athletic, and good looking (although he doesn’t think so). He tends to feel shy, especially around attractive women. Ted sees Beth across the room, and he’s been wanting to talk with her for weeks. Beth is petite, has brown hair, hazel eyes, and a stunning smile. Ted works up the nerve to go talk with her, using his patented Toe-In-The-Water approach. He slowly meanders towards her, pausing several times along the way. He makes sure not to look right at her, because that would be too brash. Right before he gets to her, he pauses and pretends to be very interested in a nearby potted plant. “Right! Hi Ted. Good to see you,” Beth says with a smile on her face. I’ll spare you the rest of this dialogue, but as you can imagine it doesn’t end well for Ted. Within several minutes, he’s feeling so much anxiety that he presses the eject button and exits the conversation. What went wrong? What is wrong with Ted’s Toe-In-The-Water style? The problem here is NOT what Ted is doing or not doing… it’s what Ted is THINKING and BELIEVING. Long before he goes over to talk with Beth, he’s already disqualified himself. He thinks she’s better than him because she’s attractive, that he doesn’t have anything to offer over other guys, and that she’s out of his league. Since he’s so certain he’s going to get rejected, he doesn’t fully take the leap. It’s like predicting the water is going to be FREEZING, so you cautiously dip your toe in, just to take the temperature. What this leads to is a half-hearted attempt, AND a tendency to interpret everything she does as rejection (such as forgetting his name). What’s a better approach? What could Ted do instead? He would have much better results if he did the opposite of Toe-In-The-Water. Instead, he could get a good running start, leap through the air, and do a gigantic CANNONBALL. Do you want to learn how to have the confidence to do a cannonball? 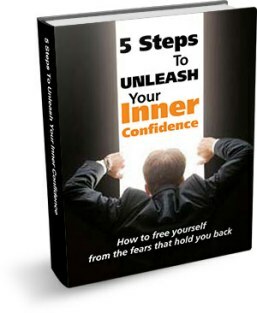 Do you want to know how to overcome and eradicate those negative beliefs about yourself (such as “she’s out of my league”)? 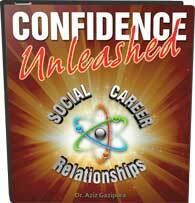 Check out Confidence Unleashed to get these skills (and dozens more). You might be surprised how quickly you can shift things. Next week I’ll describe IN DETAIL (word for word) the Cannonball approach and how to use it to increase your success with the ladies. Stay tuned!